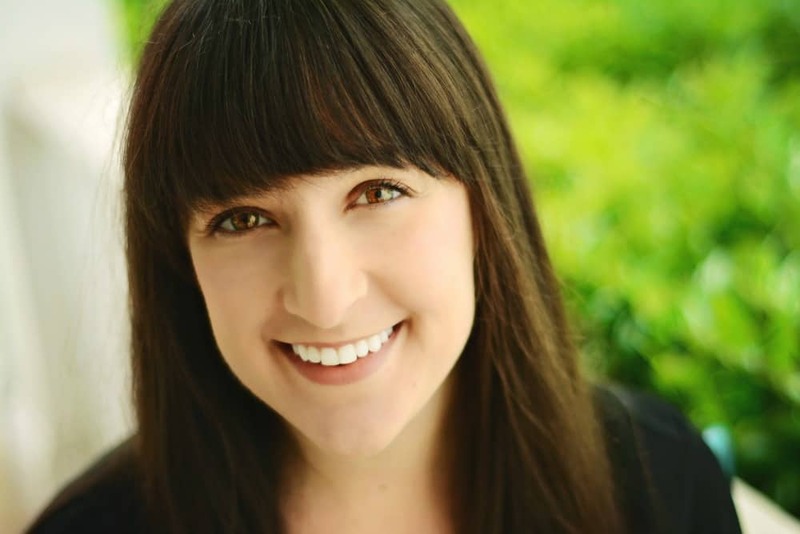 February 22, 2016 By Liz 16 Comments Note: This post may contain affiliate links. I make smoothies a lot. My parents got me a Vitamix for my 22nd birthday and I can honestly say I’ve used it multiple times a week ever since. (That was over 5 years ago, if you’re counting.) But it’s sad how infrequently I switch up my smoothie game! Sure, sometimes I’ll go for a peach cobbler smoothie or a fruity chia smoothie but I tend to gravitate towards a fruit + almond milk + protein source equation. But not today. We’re doing something new! 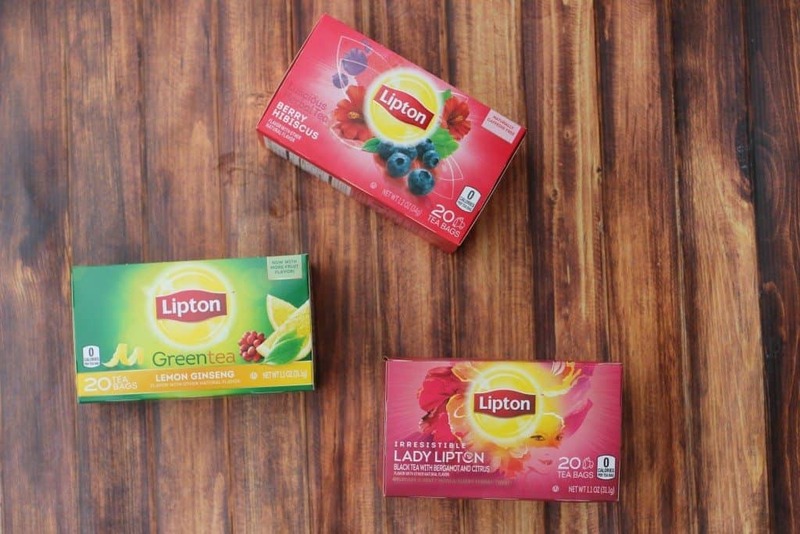 I recently had the opportunity to try some of Lipton’s newest teas and let me just say, I fell in love. While I’m not here to pick favorites, I have to say that I gravitated toward the berry hibiscus flavor. I was enjoying it in the afternoon at work and I found that I still wanted to finish my cup, even when the tea had cooled down. It’s packed with real ingredients and the blend is perfect. That got me thinking… why can’t I use tea in my smoothies? Turns out, there is no reason why not! 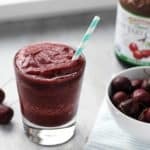 So this berry hibiscus tea is the base of this delicious fruity smoothie! Perk up your morning smoothie with hibiscus tea! It’s a great way to add flavor without added sugar. Bring 3/4 cup of water to a boil and steep the tea. I let my tea bag sit in the water for about 3 minutes and then I discarded the tea bag and let the water cool down. Once my tea was at room temperature (you could pop it in the fridge if you need to speed things up) and then added everything to my blender and blended until smooth. Normally I add a bit of stevia to my smoothies but this one was sweet enough without anything extra! 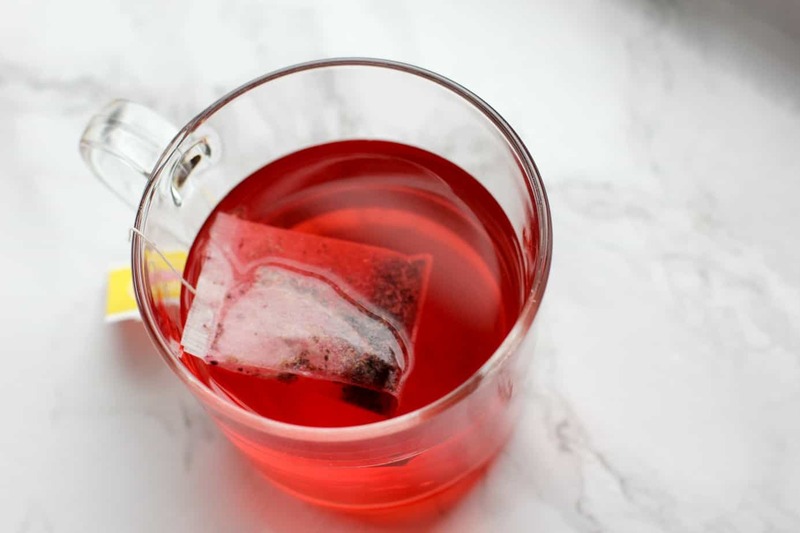 The fruit is the perfect natural sweetener and the tea adds flavor rather than just watering things down. The weather was oddly warm over the weekend so this was a nice, refreshing snack! Now the possibilities are swirling through my head… a lemon ginger green tea smoothie? Maybe an energizing black tea with orange? Looks like I have more smoothie making ahead of me. 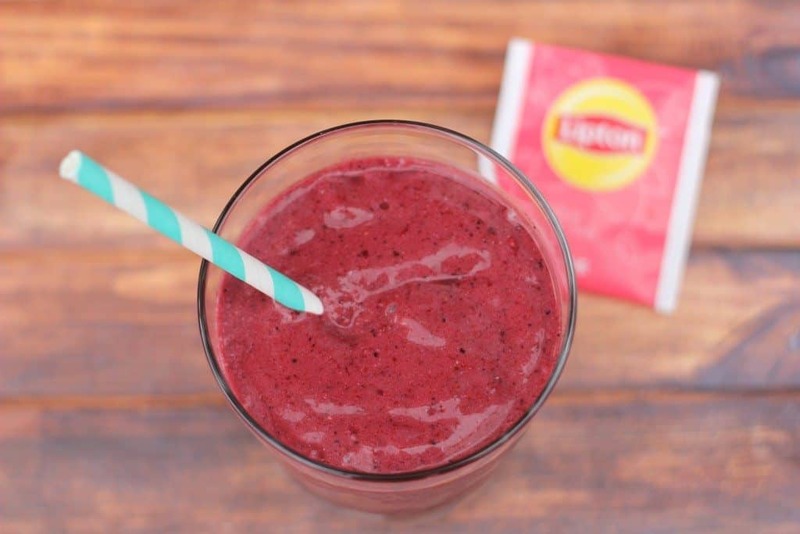 Have you ever added tea to your smoothie? I have put matcha powder in my smoothies and overnight oats before and it was pretty good! I’ve never tried this in a smoothie before but have used tea water to make oatmeal. That was super good! 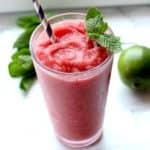 This looks awfully refreshing and a great spring drink. Yum! I’ve never actually put tea in my smoothies, but I have been on a big tea kick in general lately. I mainly go for mint or green tea, but the fruity kind looks great too. I’ve been using green tea or ginger tea in smoothies for years! It’s a great liquid to use if you’re like me and don’t like milk, or if you’re trying to save calories and don’t want house fruit juices! That sounds like the ultimate Spring or Summer beverage. I cannot wait for the weather to warmup! 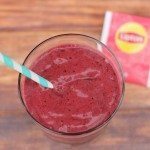 Adding tea to a smoothie is such a good idea! I need to try this! 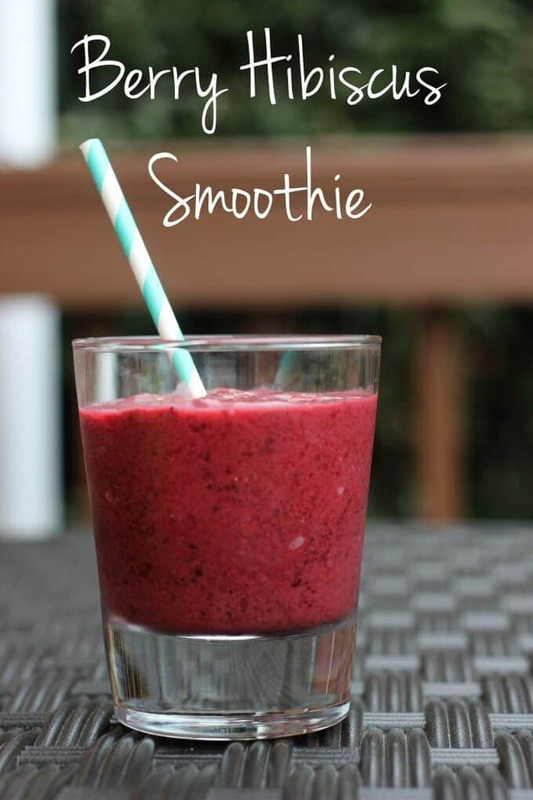 Never thought of adding tea to a smoothie – what a great way to get in some extra antioxidants! Oh I bet this is SO good. I love tea and fruity smoothies like this. I’ve only added chai tea to a smoothie, but this makes me want to try some fruit ones! It adds such a great flavor! 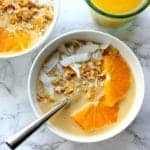 This looks so refreshing and SUPER simple! I never thought to add tea to my smoothies! 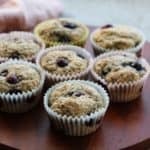 My kids and I love berries so I’ll definitely have to try this out on them too! I must say it was hard to find your website in google. You write interesting articles but you should rank your website higher in search engines.